Firstly, it’s the verb that is the most used of all. It’s actually even in the top 5 words most used in French, after le (the), de (of) and un (one). Secondly, it’s one of the two verbs that are used as an auxiliary for the conjugation of many other verbs. The other such verb is avoir (to have). Learning the conjugation of être is indeed an important thing to do. Here, we’ll only develop its conjugation tables ; we’ll discuss its usages in another page. It’s important to note that at the compound tenses, the verb être is always conjugated with the auxiliary verb avoir. Now that you’re mastering the conjugation of être as a central grammatical verb in French grammar, how about a little digression into the field of metaphysics ? After all, être, to be, also expresses the state of existing. Are you interested in philosophy ? Why not visit the Encyclopedia Britannica and learn a bit about ontology ? Et voilà, we reached the end of our lesson about conjugation of être. 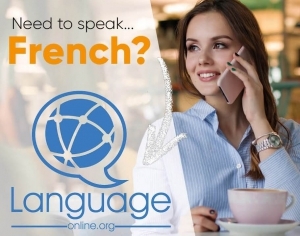 Don’t forget to bookmark this page to refer to it in the future, when you need a reminder ; until then maybe you can look out the conjugation tables for the other equally important verb avoir.